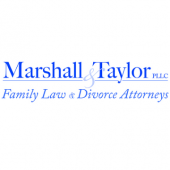 State law encourages divorcing parents to come to a child support arrangement on their own. This arrangement can be fairly informal as long as both parents agree to it. However, most parents in this situation follow the North Carolina Child Support Guidelines to simplify the process and minimize disagreements. Judges who settle child support disputes are legally required to follow these guidelines. If you are concerned about getting the support you need while serving as your child’s primary caregiver, or if you feel you are paying an unjust amount in child support, the Raleigh North Carolina Child Support Guidelines lawyers of [firm-name] are here for you. Call us today at 919-833-1040. Your expected contribution to your child will be calculated based on your gross income level, meaning that most of your expenses will not be considered. If you have remarried, your current spouse’s income will probably not be added to yours. You and your former spouse will be required to split the costs of any of your child’s uninsured medical needs, based on your respective incomes. If the court suspects that you are deliberately not looking for work or are under-earning, your expected payments will be based on your potential income, not your actual income. Generally, child support payments end when the child turns 18. The exception is when an 18 year old child is still in high school or an earlier level of education. In that case, child support will continue until the child graduates, leaves school, or turns 20. Articles about child support are not sufficient to help you fully understand your rights and options. To discuss your case with an experienced Raleigh child support guidelines attorney, contact [firm-name] at 919-833-1040.